• The Thailand government has declared July 28, which marks the birthday of King Maha Vajiralongkorn Bodindradebayavarangkun, and October 13, which marks the death of king Bhumibol Adulyadej, as two additional annual public holidays. The May 5 public holiday which previously marked the coronation of the late King Adulyadej has been rescinded and will be replaced with an appropriate holiday to mark the coronation of King Bodindradebayavarangkun as King Rama X once that event occurs. • Office of the Prime Minister deputy spokesperson, Colonel Taksada Sangkachantra, told a media briefing on Tuesday that General Prayut Chan-o-cha has instructed the Ministry of Digital Economy and Society (DES) to work harder at clamping down on those who are violating Article 112 of Thailand’s criminal code, referred to the lese majeste law, particularly overseas dissidents who criticise the royal institution from afar. • Deputy government spokesperson, Lieutenant General Werachon Sukondhapatipak, said this week’s Cabinet meeting approved guidelines and measures to handle the social problem of brawling vocational school students, with a range of measures to be implemented. • National Legislative Assembly (NLA) President, Pornpech Wichitcholchai, said the draft law on national reform, and a separate draft law on national strategy, had already been passed to the assembly and was expected to be tabled for their first reading on April 20. Both are expected to pass scrutiny, with the laws needing to be enacted by August 3. On April 21, he said, the NLA is scheduled to discuss the draft law on political parties and the draft law on the election commission. • The chairman of the National Reform Steering Assembly (NRSA) on mass communication reform, Air Chief Marshal Kanit Suwannet, said the draft law on media rights and ethics stipulating the establishment of a media professional’s board and compulsory licensing of journalists and other media workers will be submitted to the NRSA whip by May 1. Denying that the new board will interfere with media freedom, Air Chief Marshal Suwannet said it will oversea that the media work in accordance with an ethical framework. All Thailand media organisation have opposed the establishment of a government-run media board. • The director general of the Department of Mineral Fuels, Weerasak Pungrassamee, said that before a proposed national oil corporation can proceed there needs to be a detailed assessment of its roles, agenda, responsibility, and budget. The study, he said, needed to include all stakeholders. • Tourist Police have been stationed at key locations throughout Don Mueang International Airport to assist tourists, with particular attention being paid to traffic violations by taxis and public transport vehicles. • The Bangkok Metropolitain Transit Authority (BMTA) has added additional motorcycle patrol vehicles to 114 major routes to assist the large number of people travelling during the 2017 Songkran holiday. In addition 37 new connecting services have been added between train stations and major bus routes in Bangkok, while a shuttle bus service toDon Mueang International Airport has also been introduced. • NBTC takes a look at efforts by farmers in Nakhon Ratchasima (Korat) to produce Wagyu beef to compete against the estimated Bt1 billion (about US$29 million) in Australian and Japanese Wagyu beef imported into Thaland each year. From one Wagyu bull imported 10 years ago, the industry has progressed to the point where it is now producing beef with the hallmark qualities of softness and marbling that makes Wagyu beef so sought after. 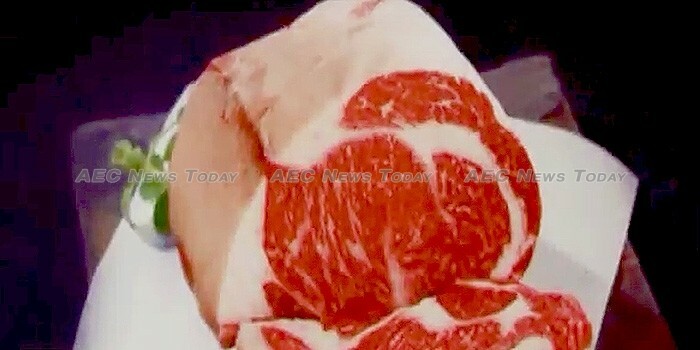 The Wagyu strain sees farmers earning up to Bt140,000 ($4,056) more than from standard Thai beef cattle. • Deputy interior minister Thaworn Senneam yesterday visited Samut Sakhorn to inspect government-provided migrant worker accommodation, and to discuss management plans for the zones. • Thailand’s Government Public Relations Department (PRD) is preparing to host the Radio Asia 2017 conference in conjunction with the Asia-Pacific Broadcasting Union (ABU) at the Swissotel Le Concorde hotel in Bangkok between April 26 and 28. The conference is set to discuss advancing radio content development in the region under a theme of ‘developing radio with passion – looking into the world of radio’.